Plans for alterations to a city-centre building have been given the green light despite protests from opposition groups who labelled them ‘unsightly’. The proposal to extend and refurbish 46 South Street by Chichester Securities Ltd was approved by Chichester District Council’s (CDC) planning committee on August 19. The ground floor was formerly LJ’s for Jeans, which closed earlier this year following the retirement of owner Len Macey and the sale of the building. The application includes a change of use for the first and second floors from retail to residential, with only the ground floor, which is currently empty, being kept as a shop. Speaking at the committee meeting, Cllr Tricia Tull said: “I remember this building from years ago. It’s a strange building. It is not a thing of beauty. Cllr Mark Dunn added: “The idea that we can allow shop premises to stay as they are is not going to preserve and enhance the centre of this beautiful city so I think four small flats are highly desirable. 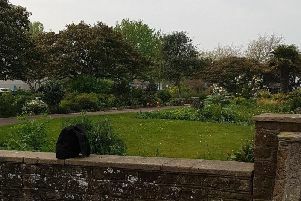 Chichester City councillor Richard Plowman is a member of the Chichester conservation area advisory committee, which labelled the proposed alterations ‘overlarge and unneighbourly’. Cllr Plowman said: “We looked at this hard and long as a city council. The building backs on to the South Pallant car park and is surrounded by a Grade-II-listed building to the north and the Grade-II-listed Regnum Club to the south. Council officers recommended the scheme be approved, saying conditions could be imposed to mitigate some of the concerns ‘given the sensitive nature of the site’. CDC councillor Myles Cullen added: “I do think it enhances the scene from the car park.